After a long and stressful week, the May Bank Holiday weekend that we've just had was just a treat to lie back and relax and rest a while to this melt into your skin music by Bibio. 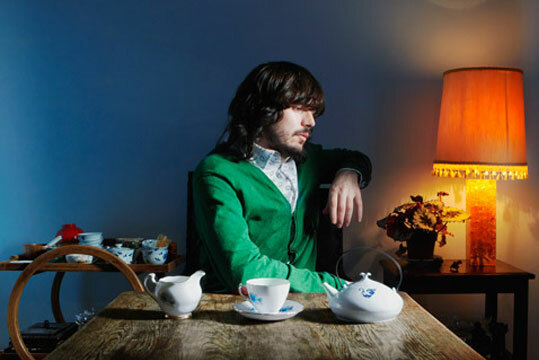 Bibio is Stephen Wilkinson's alias, one of our own musical talents from the West Midlands, UK. Wilkinson is an experimental and electronic music producer influenced by foreign language (as is evident), phonemes (google it), and bands like Daft Punk and Boards of Canada. The song A tout à l’heure taken from his seventh and imminent album Silver Wilkinson, to be released on May 14, epitomises the essence of summer. He produced the song in his back garden on a warm summer’s day using a 12-string guitar, an MPC sampler, a microphone and a cassette recorder, not forgetting the uncommon watering can and gardening shears. His sole intention was to portray this sun-kissed moment through the sitar-like drones, folk-chilled vocals, beats and claps. Here is Bibio's official video to A tout a l'heure. We admire his use of footage of sky and fields layered with various silhouettes on top which have been inspired by the self-entitled album cover of 1960’s band Free. If this track lifted your week’s drudgery and you’d like to hear more of his calming summertime music then purchase his new album on Bleep, iTunes or Amazon.